From the dictation machine to the email, the business world has always been a driver of new technology. But every business tool’s day in the sun must one day come to an end, to be replaced by a younger, faster, shinier upstart. We know a thing or two about disrupting classic business technology, so here’s our list of the most important business tools that have been replaced by cheap – even free – apps that do a better job with less hassle. The flatbed scanner is the type of expensive, highly-specific business tool that was ripe for disruption with the advent of powerful smartphones with high-quality cameras. Although they still have their uses in particular business applications and for professionals like designers and archivists, most people will find that they can achieve their aims with a phone and a decent scanning app. If you occasionally need to scan receipts, business cards and other documents your best option is Google Drive. Not only is it packed with powerful features but is also completely free to use. It also includes OCR (optical character recognition) technology that automatically converts uploads into searchable, editable Google Docs – a powerful feature that most paid scanning apps don’t include. For iOS users CamScanner is a good freemium alternative that automatically converts images to PDF and also offers that useful OCR feature. The only downsides are that it adds a watermark to your documents and requires a paid-for premium account for auto-syncing with services like Dropbox or Google Drive. 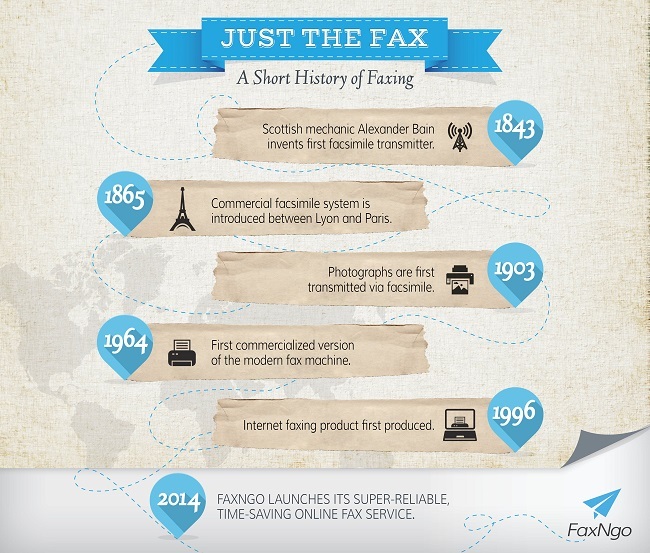 Although the office fax machine is looked back upon nostalgically as a defining piece of business technology from the 1980s, its history actually dates back more than 170 years to early telecommunications experiments conducted by Scottish inventor Alexander Bain. Be that as it may, the fax machine was a necessary but deeply flawed business tool whose days were numbered as soon as the internet stomped all over the old way of doing things. Alas, the fax is still a central means of communication in numerous business and professional contexts, in particular medicine and the law. Luckily, online and mobile faxing services such as FaxNgo have emerged to take away the pain and help bring faxing into the 21st century. Gone are the days of indecipherable text, toner-stained hands, paper jams and incomprehensible error messages, not to mention the cost of a fax machine, toner and paper, and a phone line. Mobile faxing allows you to send and receive from anywhere you have a data connection, freeing you from the office fax machine. You can fax to multiple recipients straight from documents, sign contracts electronically, automatically attach fax cover sheets and manage everything from an email-style inbox. Developed by Alexander Graham Bell in 1881, the voice recorder – better known by the trademark Dictaphone – has a surprisingly long history as a business tool. The brand name may still be around but those tiny recording machines with their dinky microcassettes that we all remember from the 1970s and 80s are a thing of the past, killed by digital recording technology. There are tons of free and cheap voice recording apps available on both iOs and Android, most of which offer very similar functionality. 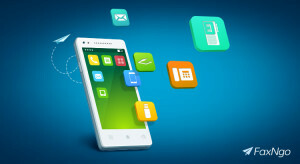 Cogi stands out from the crowd in a number of ways, really leveraging the power and flexibility of the phone app format to shake things up a little. The headline feature of Cogi is the ability to set it to listen without recording. Then with another tap you can start recording from a point 45 seconds previously, allowing you to capture just the most important moments. The app also includes tagging tools to make it easy to zip through your recorded highlights to get to just what you want. Ok, so this is a controversial choice. After all, email remains the number one business tool for communication, with more than 100 billion business emails sent and received every single day. According to the research group Radicati that number is expected to top 130 billion by the end of 2017. But although email is still alive and kicking, there’s a lot of enthusiasm for new forms of internal business communication that promise more flexibility, immediacy and friendliness. 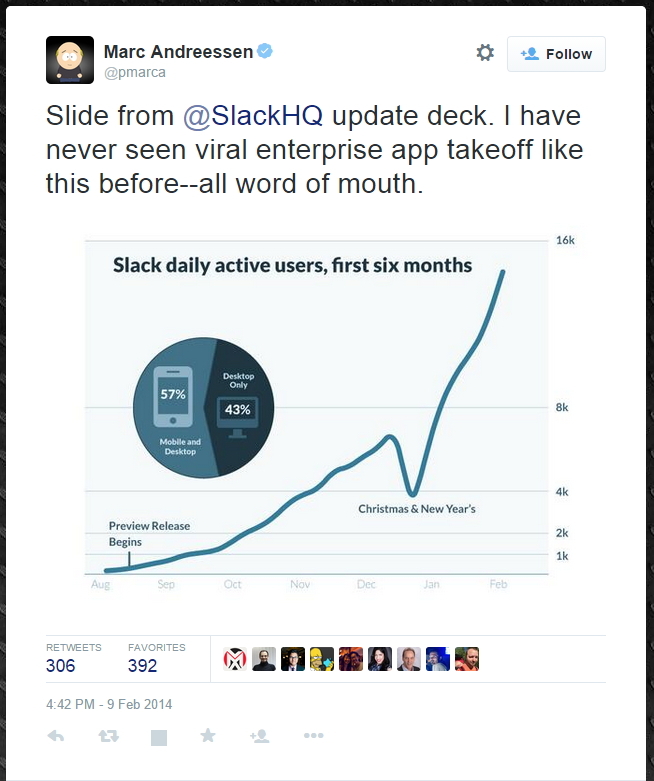 Slack is the rising star in this arena. What started as a simple IRC created for internal use by a startup games developer quickly became the company’s main product. It’s now valued at over $1 billion. Slack centralizes communication between company employees into a chat stream, has broad integration with most third- party business tools – allowing in-stream notifications – and is completely searchable. Coupled with mobile apps and attractive design that makes it look more like a consumer application than enterprise software, it has inspired rabid fandom among users who brag loudly about how little they now email. Could this be the beginning of the end for email? Memory sticks are an even newer business tool than email but their days could be numbered too. Smaller and more robust than the floppy disks and rewritable CDs they replaced – and with much higher storage capacity – USB flash drives have become ubiquitous to the point of disposability. But wait! Is that a drop of rain? Yup, a big cloud has rolled into view and it’s pouring all over the USB stick’s parade. Cloud storage offers an even more convenient way to store every type of file, is accessible from any internet-connected device, and makes sharing and collaboration easy. It also makes integration with third party apps a snap. Dropbox is still the biggest name and most popular choice among the dozens of cloud storage solutions on offer, with more than 300 million users. And Dropbox for Business offers greater control for admins and plays nice with thousands of enterprise apps. The continued popularity of USB sticks could have more to do with consumer psychology. Frequent news stories about hacking of private information stored in the cloud and the lack of a physical “thing” holding your important information still makes some people nervous. But there’s little doubt that the days of rooting around in your backpack for a spare thumb drive will end sooner rather than later. Which outdated pieces of business technology would you like to see killed off? Which ones do you miss? Let us know in the comments below or give us a shout @faxngo.